S/S, 14 kt. Yellow and Rose gold. Boulder opal – 11.69 ct. 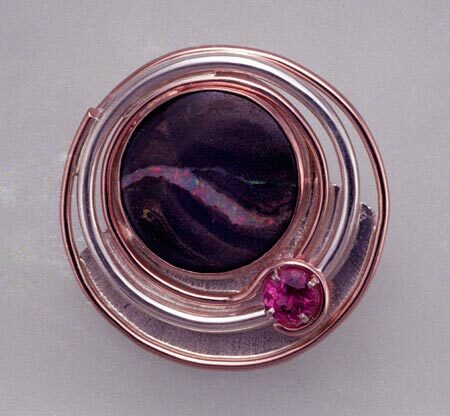 Pink tourmaline - .71 ct.